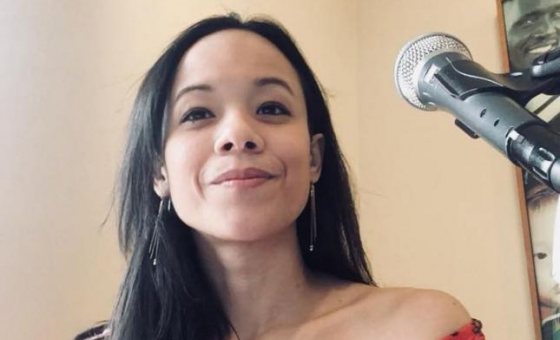 Singer, songwriter, composer, pianist, and educator Isabella Mendes, is quickly becoming one of New Haven and Hartford County’s top Brazilian, jazz, pop, entertainers in the industry. Isabella has earned an impressive list of accomplishments well beyond her years. Mendes has performed with top notch musicians, Jeff Fuller, Joe Carter, Adriano Santos, Itaiguara Brandão, Matt King, Tim Moran, Paul Lieberman, Ali Ryerson, Ben Bilello, Hernan Yepes, Asher Delerme, George Lesiw, Frank Brocklehurst, Lindsay Artkop, John Tuohy to name a few. Her sound is an eclectic mix of American Jazz Standards, authentic Bossa Nova, Brazilian jazz, with a hint of pop in her original songs. Born in São Paulo, Brazil, Isabella started to study music at the age of four at Centro Live de Aprendizagem Musical – (CLAM), a school founded by Amilton Godoy of the Zimbo Trio, a famous Brazilian ensemble. Four years later, she began writing music and taking both private piano and composition lessons. While participating in many piano competitions, concerts, and Masters classes, she earned a scholarship at Magda Tagliaferro, one of the top music schools in Sao Paulo, as a teenager. It wasn’t until the age of 15 years old, that Isabella started her jazz and vocal studies when she moved to the United States. While living in Connecticut, she was a student of the Education Center for the Arts (ECA), in New Haven, Connecticut, through which she continued her performances in New Haven County. That same year, Isabella has earned the Louis Armstrong Jazz Award and was recognized by the town of Hamden, Connecticut as a “Hamden Notable” for excellence in music. She went to college at Worcester Polytechnic Institute in Massachusetts to pursue a bachelor’s degree in Structural Engineering and a year later an MBA. While in college, Isabella performed at several events on campus, being active in the chorus, jazz band, and writing music and performing locally in several events, including managing and coordinating an event on “Virtual Choir.” She has studied under great mentors including: Douglas Weeks, Frederick Bianchi, John Delorey and Richard Falco. [Isabella’s] expressive, pristine vocals, which can mix a sense of vulnerability with resilience and joy, have become part of her effervescent signature sound in appearances in Connecticut clubs and festivals, along, of course, with her well-honed jazz piano playing, rooted in the knowledge and mastery she derived from her classical studies." "Whether it was standing up and singing or sitting at the piano, Isabella Mendes played a great mix of music in her songs which were as told through stories lyrically as much as instrumentally." "...when you can span three generations in that way you know there is something special going on and the live performance only enhances that essence." Hi, I am Isabella Mendes: pianist, singer, songwriter. I love to teach! I believe anyone can learn how to play an instrument or sing a song. With kindness, patience, dedication and fun, we can make learning music enjoyable. Whether you're looking to learn it as a hobby, or just would like musical exposure for your children or if you'd like to pursue music as a career, my lessons are catered to each student's individual needs. I am a classically trained pianist with over 15 years of teaching experience. My students range from 5 to 80 years old. It's never too late to learn! All ages and levels welcomed. I also have an MBA and have experience coaching and mentoring students in career development. With that experience, I am able to coach young artists set up their website, market themselves, order business cards, negotiate contracts and more! Isabella has a great knowledge of music and singing. She is a fantastic teacher. Thank you Isabella. Great lesson! Isabella is helping me develop my music business knowledge, which is so important to any musician!